Utensils shops in Kenya: Location and Links. Home Shopping Utensils shops in Kenya: Location and Links. These are utensils shops in Kenya. In the recent past have been writing articles that show you where to buy most of the stuff you may be looking for. I have written about Nike shops in Kenya and Adidas Shops in Kenya. Today however I have decided to write about utensils shops in Kenya because I realized that there are so many people who are looking for its shops and cannot be able to find them. To make your search a bit easier, I will be listing for you shops both online and offline and also suggest to you places you can find cheaply buy utensils in Kenya. As I promised earlier, I am going to divide the section into two. One, we are going to look at online utensils shops in Kenya and two, offline traditional utensils shops in Kenya. If you are lover of online shopping, then you can try out these shopping sites online. Jumia Kenya is by far the largest online store in Kenya and with a lot of customers. It sell almost anything and everything. Moreover, if you are looking to buying utensils in Kenya online, this is one of the stores you may need to consider. The other advantage you have is that they will ship your utensils to your location anywhere in Kenya at a small fee. If you are already subscribed on Jumia Kenya, follow the link https://www.jumia.co.ke/cooking-utensil/ to continue shopping. If you are not subscribed, I have written a detailed article on how to sign up and begin shopping. Masoko is the brainchild of Safaricom, the largest and most profitable telecom company in East and Central Africa. Masoko is an E-commerce site that sells most household items and utensils are no exception. 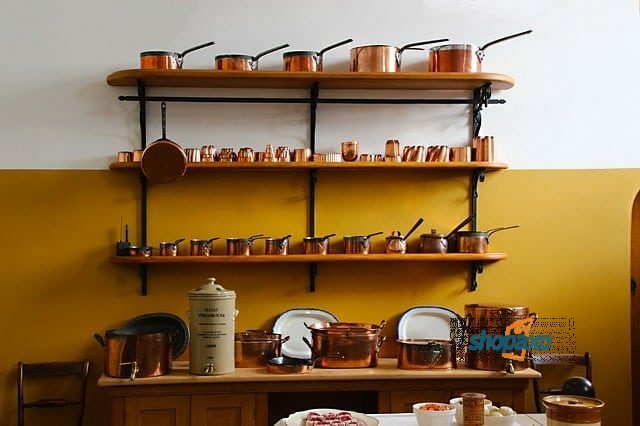 They have a page dedicated to selling utensils and you can get there by following this the link https://www.masoko.com/all-categories/home-appliances/kitchen-appliances/utensils. To begin shopping, you will need an account with Masoko. Go to their sign up page and create an account. Kilimall is another E-commerce site that sells in so many items among them utensils. It works just like Jumia Kenya and for you to shop; you will need to create an account with them. Vituzote.com is an online site that sells various household items. Though it is not well know, I was able to find that it sells utensils. And like any other E-commerce store, you need to register with them to begin shopping. Have a look at their utensils page and see if you want to do business with them. Established in 2001, in 7-storey building situated at Mwembe Tayari, Mombasa, Nawal is your one-stop shopping centre for all your fashion and household needs. Now with the e-commerce site it gives their customers the opportunity to browse and buy our variety of products remotely and at a time convenient to them. Follow this link http://www.nawalcenter.com/utensils to shop on their site. Juakali Products specializes in custom made stainless steel hospitality catering products for equipping and setting up a wide range of food and beverage facilities. Hotshop Ltd is a hotel and restaurant supplier offering wide range of products at wholesale prices. Their showroom in Westlands, Nairobi houses a large inventory of items for both the professional or home chef. Besides the show room, they have an online store where you can buy online. Follow the link http://hotshopltd.com to shop . Here rather than discuss them, I will list for you the shops and suggestions to may want to consider. Where possible, I will give you contacts to some of these utensils shops in Kenya. Most supermarkets have a section that deals entirely with utensils. Visit your local or favorite supermarket and shop there. If you are in Mombasa, you can go to Nawal Centre. Nawal centre is located in Mwembe Tayari. Vitu Zote is a shop that deals with kitchen utensils. Though they have an online store, the do have a physical store at the Junction Mall, Ngong Road, Nairobi. Located on Mombasa Road, Nairobi, Kitchen Care Limited deals in quality kitchenware. This is one utensil shop in Kenya that you can really get good items from. This located in Kiambu Road. You can also buy utensils in open-air markets such as Kariokor if you are in Nairobi. There are many utensils shops in Kenya; however, I may not have captured all of them. Nevertheless, with this article, you have shops that you can buy utensils from. Should you know or own a shop that is not listed on this page, let me know for consideration. Previous articleOnline Supermarkets In Kenya. Next articleFuliza; How to use Safaricom’s credit facility.